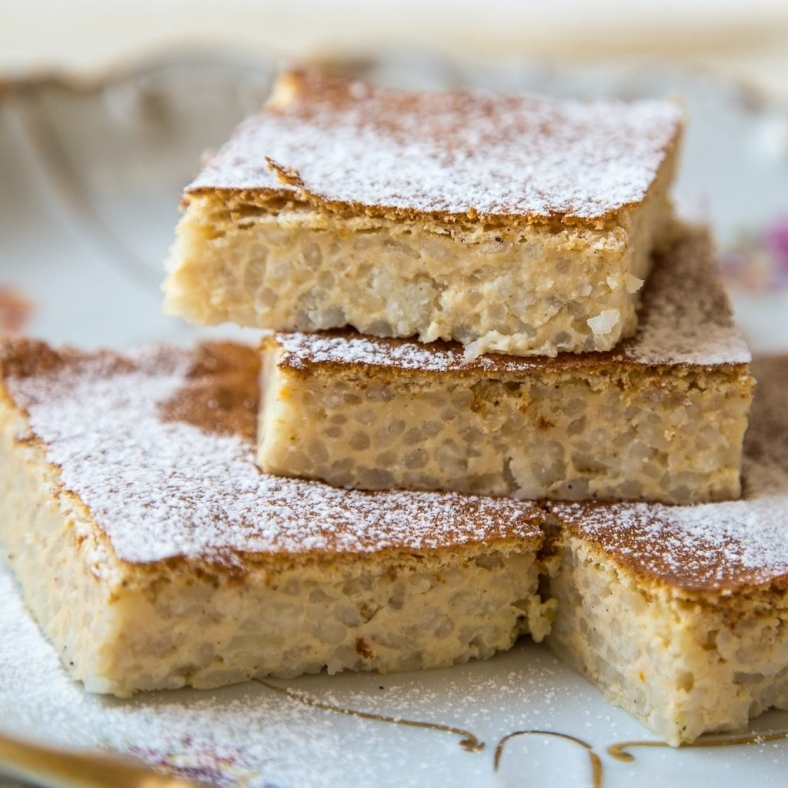 My grandma always used to make it for me and so called “Koh od riže” was everyone’s favorite cake in my house. It is very easy to prepare it and once served together with cherry sauce, this simple cake becomes. What I love and appreciate in old recipes is their simplicity and lack of additives and artificial colors. Also I can do this wonderful cake any time I wish using ingredients I always have in my kitchen: rice, milk, eggs, sugar, butter. I’ve recreated that memorable taste of vanilla and lemon zest captured in rice cooked in milk. Once baked its delicate, sweet scent fills up the air of the kitchen. That’s definitely my definition of comfort food. It tastes heavenly with cherry sauce and hot cup of tea. Finally this comb make grey, cold afternoon a bit soften and more cosy. Served, cold or warm, light rice cake is welcome any time of the year. I always make Koh approximately without recipe as my grandma used to do long time ago. If the filing is too dense i just add a bit more milk. I do the same with amount of sugar, tasting and correcting. However, I got in touch with my friend Irena and she send me her grandmother’s recipe. Irena is an architect and she is very precise person, not just in her job, but in her kitchen as well: careful, accurate but still imaginative, so you can lean on her about the measurements and you won’t be sorry! 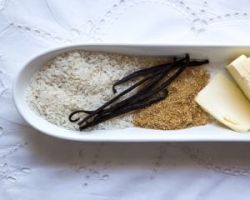 Put the milk and vanilla stick into heavy bottomed pan and bring to boil. Add the rise, take out vanilla stick, reduce the heat and cook the rise until is tender. Stir frequently. Take it aside and leave it to cool down to the room temperature. 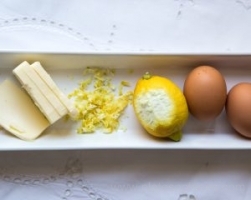 In mean time whisk together eggs yolks with sugar and butter until mixture is creamy. Than add lemon zest. Altogether stir thoroughly into cooked rice. 6. Separately mix egg whites with pinch of salt until firm peaks form and carefully add to mixture. Using wooden spatula stir carefully. 7. Than put it in rectangular backing pan, greased and sprinkled with flour. 8. Bake it 30 minutes in preheated oven on 180”C. Serving suggestion: Sprinkle it with powder sugar and top with sour cherry sauce. Enjoy your afternoon!